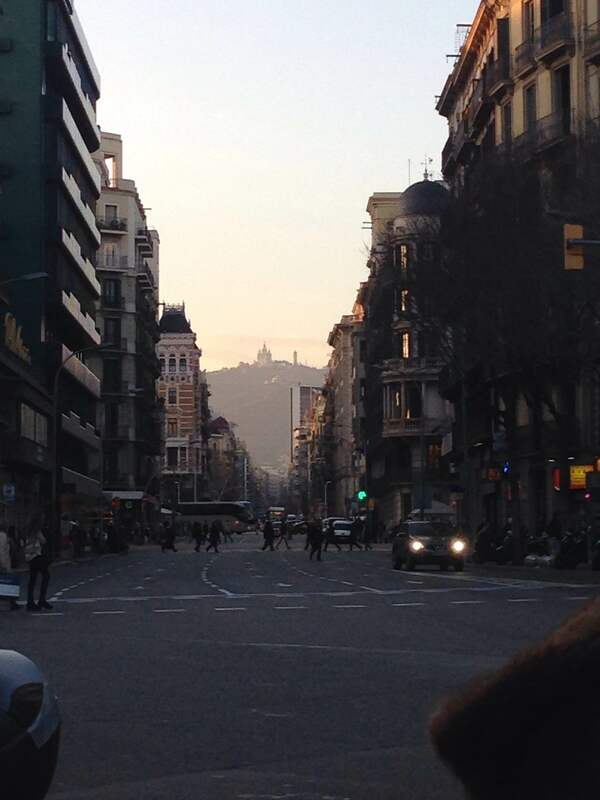 Coming back to Barcelona is like coming home. There are so many emotions. I get so excited. I just love being in that city. What makes it doubly nice is that I actually know people there too. I spent most of my time just wandering around the city that I love. Which also, allowed me to visit just about every Zara the city has and thanks to some of the amazing sales going on, I just had to buy a few things. 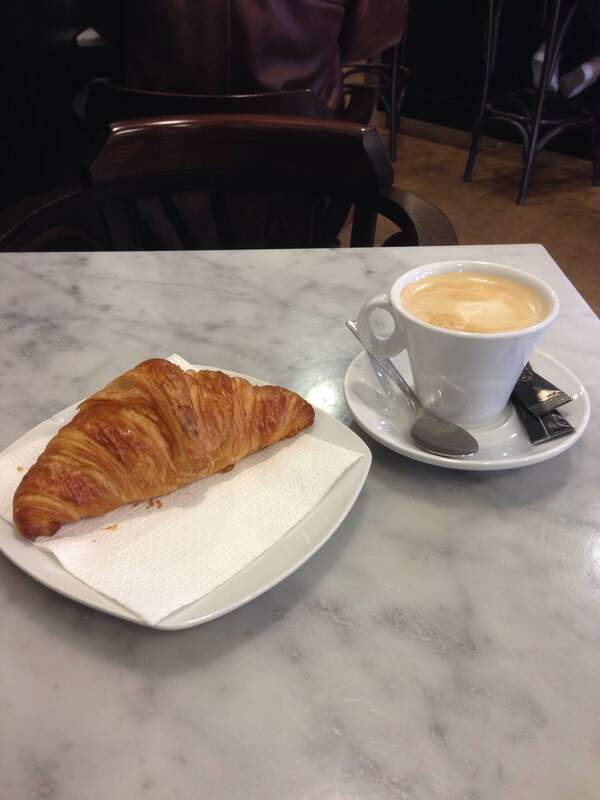 Cafe con Leche y un croissant is also a must have every time I return to Barcelona, for me. I left a few things behind in Barcelona, like my heart. JK. I really left behind like a jacket and old shoes and sweaters. But seriously. It was so hard to leave. I was so sad. The days went by so fast. And it was so good to see friends I hadn’t seen in years. But new adventures await and without change, without growth, we’d become bored, or worse, boring ourselves. I’ve spent a bunch of time in Barcelona so I apologize but I won’t be making a post about touring the city. I highly recommend trying to get to know the locals as they will give you the best advice. I went to a restaurant with my friend and they were out of the potatoes. My friend said she would give them a 1 star on Trip Advisor to which the manager responded, “Please do, Tell everyone it is the worst.”. This is the world we live in. Somethings are meant to be special and not exploited online. So I will not be sharing this wonderful place. But if you find yourself in Barcelona, you can message me and I’ll tell you if you are lucky. It is dominated by locals. (the Place was amazing and I had some of the best Rose Cava). 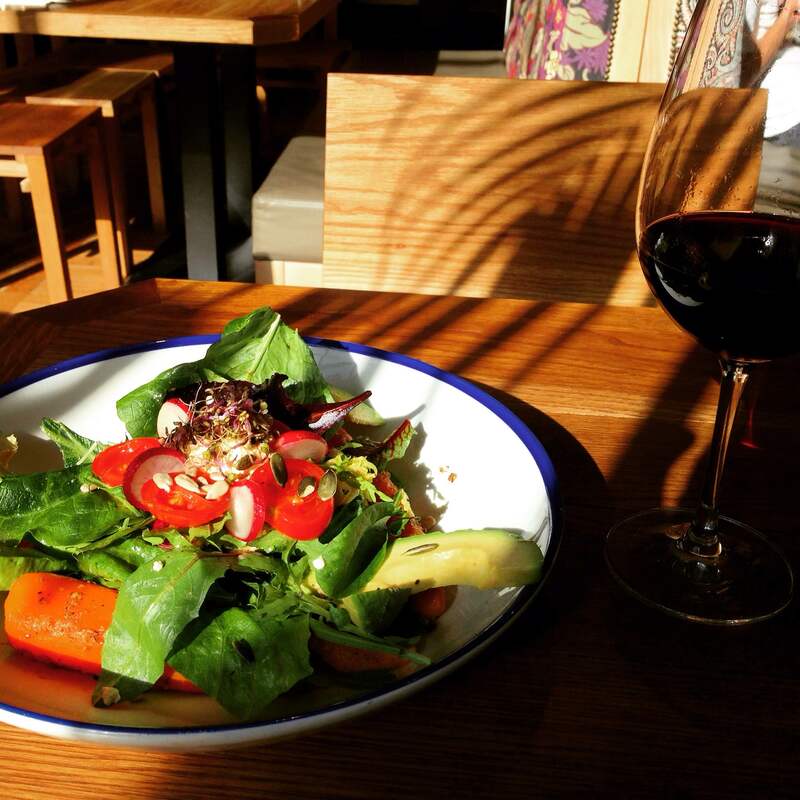 In Barcelona, it is hard to find a good place for salads. However, Flax & Kale is amazing for the vegetarian and salad lovers. On the plane ride over to South America, I watched a film called Hector and the Search for Happiness. It was a bit corny at parts but I could relate. This man, a psychiatrist, leaves everything behind in London, and goes on a journey to ask random people what happiness is to them, and if they are happy. Long story short, he finds out that the journey is more important than the goal of being happy, that the journey was really about him being happy, and that happiness is the result of challenges and changes. Barcelona is definitely one of my happy places. What is yours? I know this too well. Someone will ask why I’m not happy. And you can’t just explain it. Troubles aside, which always seem to come and go, I have a conscious feeling when I’m not living up to my expectations. I could feel myself becoming stagnant at home. I tried to do things to change things up, but after a month or two, I’d become bored and go back to the easy life. I can’t just be happy. It is certainly the results of action. Like when I booked my flight. I was giddy. Straight up so excited. The overwhelming potential, the realization that it was happening, and the fact that I had previously worked hard for something I wanted and I could finally reach the finish line (one of many that are sure to come throughout life). You alone are responsible for your happiness and you have a right to it. You alone, can figure out how to be happy, or what will bring you happiness. Some people need the stability of a home. Some need the adventure of the unknown. I need that unknown. That hope that something greater than my wildest dreams could happen. Because in honesty, that was how I initially felt about Barcelona. Believe it or not, when I finally settled on Barcelona during college, I was a bit sad and suspicious. I had wished MSU had a program at Madrid, or wondered if I would have liked Mexico more. Little did I know, I was going to a city that I would forever be having a neverending love affair with. So the bottom line? Take the chance even if it scares you. Do something unknown, even if you aren’t sure if you will like it. Because you will never know, if you don’t make a decision. You will never grow, if you stay in the same spot. Life is meant to be lived in full color and motion. Florence is exactly what I expected, and then some. To be honest, I had heard mixed reviews prior to my arrival. Some loved it, some said it was ehhh. I liked Florence quite a bit. It is a perfect sized town. 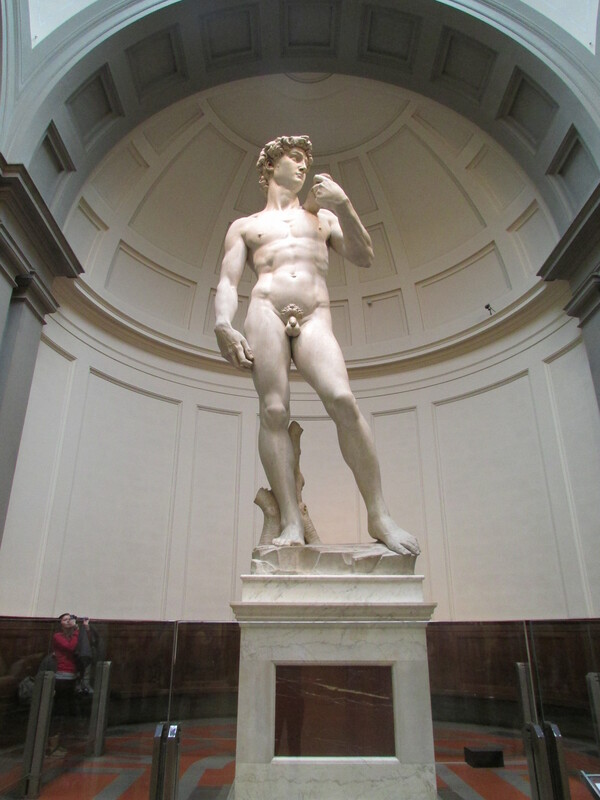 As Gaudi is to Barcelona, Michelangelo is to Florence, and his touch is seen just about everywhere. Inside Santa Croce, final resting place of Michelangelo. I arrived mid afternoon on Saturday. I opted for something a bit nicer than a hostel. I stayed at Hotel Santa Croce whose building was from 600 AD. This counted as a first as I hadn’t previously spent the night in something that old. I did have possibly the smallest room I’ve ever had, but as the saying goes, you get what you pay for. What was lacking in room size, was made up for in location. The location was literally 150 meters from Santa Croce, or better known for the final resting place of Michelangelo & Galilei. This was also a perfect spot to easily walk to some of the most famous sites of Florence. A lovely winter day in Florence. I spent the first day taking it easy. 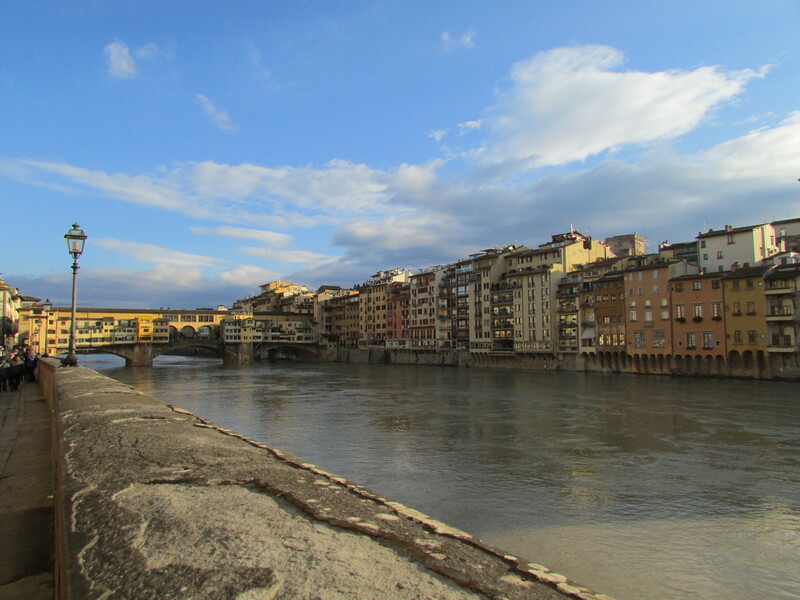 Mostly getting lost in the city streets and scoping out the famous Ponte Vecchio bridge. The second day I vistited the Accademia & Uffizi, the home of David & Botticelli’s Venus, respectively. I was a bit worried that the lines would be massive, or even worse I would not be able to get in as there are limited tickets. Fortunately, on the off season, you do not need to worry about this as much and more likely as not, you only have to wait for a few minutes. I also do not recommend trying to do more than two museums in a day. 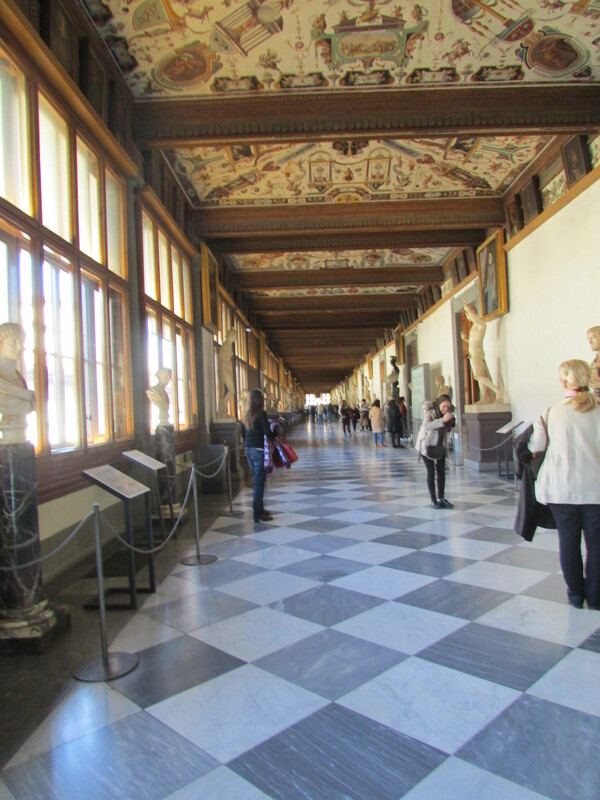 Hallway in Uffizi, one of Florence’s amazing museums. This is how I thought about David until I actually saw it. I came in through the side of the museum and was nervous I had actually just paid to go to the wrong place as there was little to no line. As soon as I turned the corner, there he was. He really is magnificent. Not like the Mona Lisa where you are expecting something a bit bigger. His size is part of what is so impressive of the statue. I’m going to leave it at that and hope it causes you all to want to visit as it is something that you just have to see for yourself. So when I was in Budapest this past November, I went on my first ever free walking tour. It was great. This prompted me to look for the same in Florence and fortunately I found one. The group was rather small, but it is the off season in Europe. This tour wasn’t as great as the Budapest one, but I would say on any of your next travels, you should look into free walking tours as they are great ways to get to know the city, get a few local tips, and even meet some fellow travelers. Lets talk about food for a minute. I love to eat out. I think it is the best way to get to know a place and also a great way to build memories. On Sunday night, I found a little place near the hotel. It wasn’t too crowded, and a lot places in the area were closed for Sunday. I had pasta and red wine followed by tiramisu. I can’t say it was the best meal of my life, but it was certainly good food, which at times, is hard to come by. The staff was great and made it an easy place to eat alone. They even gave me a free shot of limoncello. Salute! The next day I had the menu del dia at the restaurant recommended by the hotel. I’m usually skeptical of partnerships. However, they partnered with the right place as the meal was extremely filling, and for only 10 euros, I had an appetizer, a main plate, & a side. If you can plan ahead, a large lunch is usually a better deal than splurging on dinner. I also had Gelato everyday in Florence. It is really hard to say no when you are constantly passing Gelaterias. I tried the famous ‘Grom’ and am sad to say I wasn’t impressed. Perhaps it was the flavors (tiramisu and crème de grom). Florence is a fun city with new places to discover around each corner. 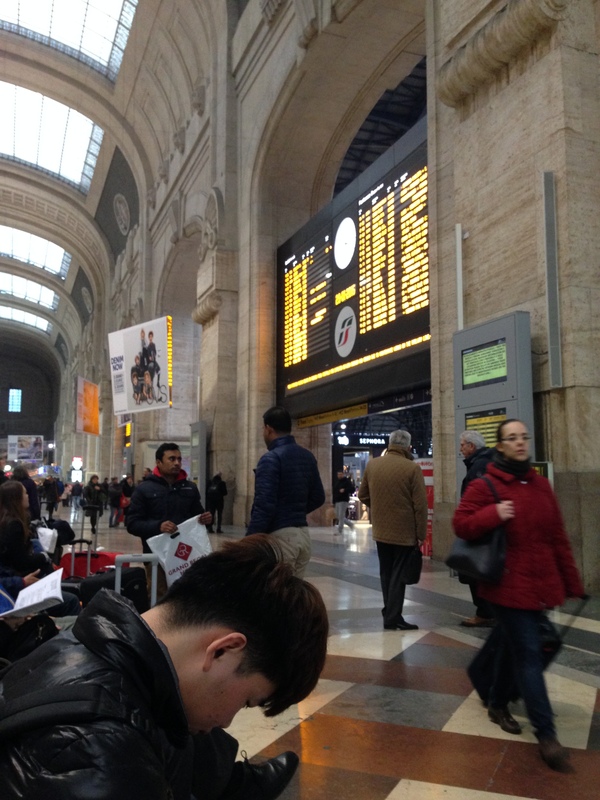 I think two days was sufficient and allowed me to get a feel for the classic Italian city. You can easily spend more time but two days was enough to entice me to come back at a later date. Plus, I am quite anxious to get to Barcelona. See you in Spain! Rainy. Overcast. Dreary could be used. Words normally associated with the beginning of a mystery novel, are the start of my day in Siena. I had taken the bus from Grosseto to Siena which was dreamy. The rolling hills speckled with terracotta homes. The olive trees perfectly aligned. I highly recommend to use something other than just trains through Tuscany as you will miss part of the landscape that makes this part of the world so famous. 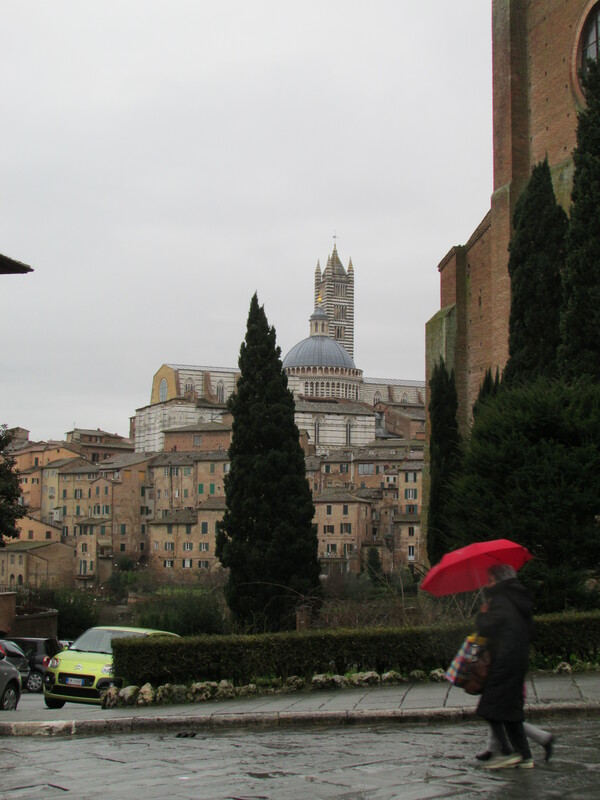 When I finally arrived in Sienna, I had no plans and no idea what to do in the city. Just the way I like it. I wandered around for a while. I used my favorite review site (Trip Advisor) to find a place to eat. Now being on my own, I still tend to get a bit shy about going into a place without speaking the language. I usually pass the place and try to scope out if it is good for an individual or not. I also see what else is in the area. I have walked into a place only to walk out shortly after looking at the menu plenty of times. I found La Procuitteria and decided to follow the advice of other travelers and go in. I got a Panini and a glass of wine. Usually, I am reluctant of panini’s in Italy as the bread tends to be a bit harder than I am used to. I am so glad I gave up that reluctancy. This was probably one of the best sandwiches I’ve had. Bread aside, the procuitto I had was delicious, it had a garlic herb cheese, and a spicy tomato paste. In Italy, you usually pay at the end of the meal, I, being paranoid, always want to pay at the beginning so I don’t forget and they don’t think I’m trying to steal (ridiculous, I know.) I then made my way downstairs to the tables which was completely empty. It was perfect for me. I grabbed a table that looked at the stairs and set up my computer for a bit of writing and research. A few other patrons strolled in later on, but this was exactly the type of place I had hoped for.(I.e. perfect for solo travelers!) After I wrapped up lunch I got lost in a few of the streets. 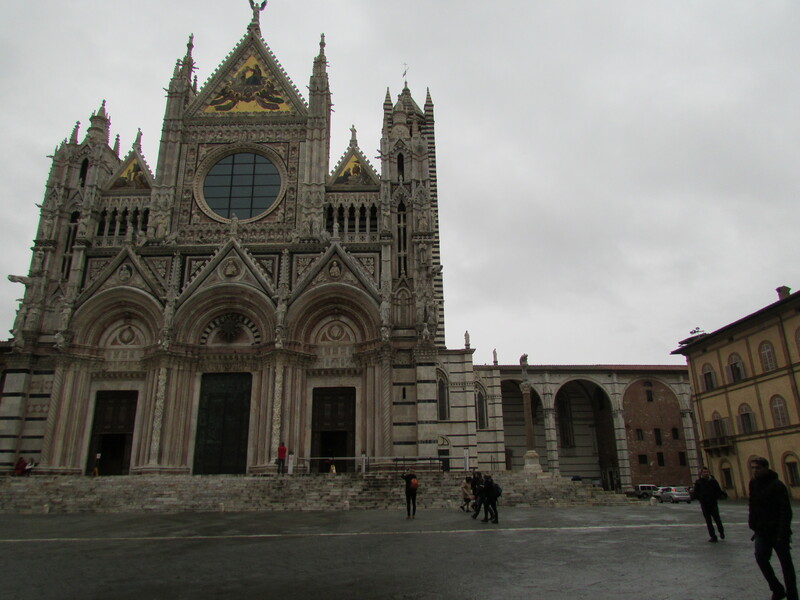 I saw the Cathedral and the main piazza. Siena has a mystical feel to it. I couldn’t imagine living in a city which seemed to be straight out of a book. It did seem a bit frozen in time. A beautiful city. If Pisa didn’t have the tower, I would definitely recommend Siena over Pisa. After some gelato, I made the bus to head back to Grosseto. The next day was very relaxed as it was my last day with the family. I was also a little sad. It is hard to become familiar and close with someone and then leave. 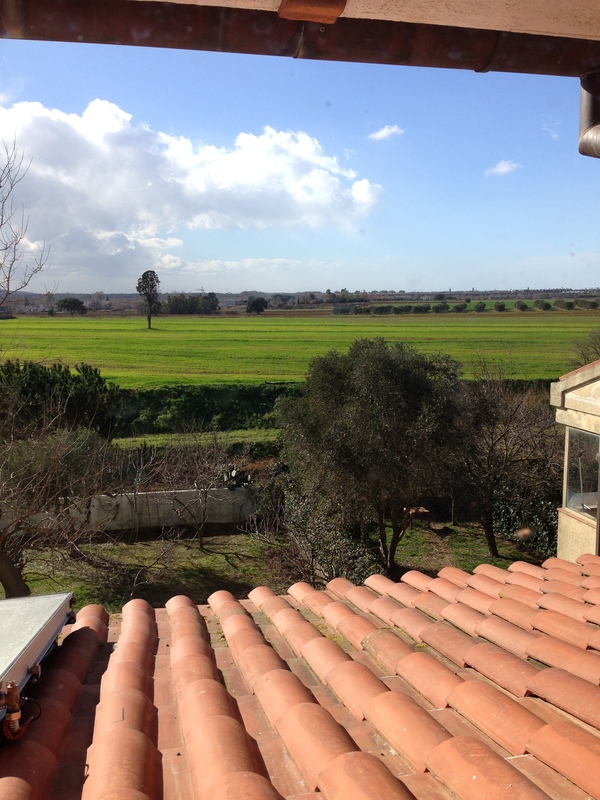 I had become quite comfortable in Grosseto. What laid ahead was a bigger adventure though and one that was necessary for me (as you will soon see, this seems to be a reoccurring theme). I said my goodbyes the following morning (after one more perfect espresso) to make my bus. Next Stop, Florence! Today was the first day I woke up early (i.e. before 9am). 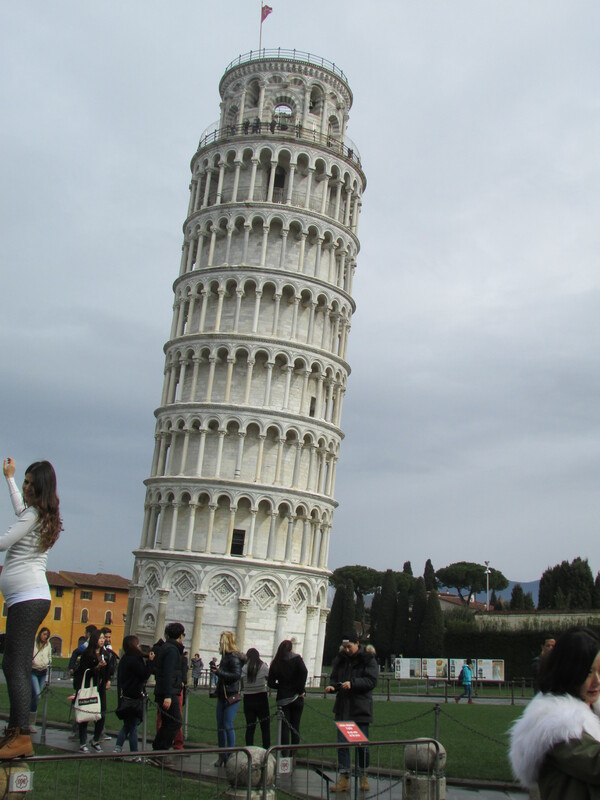 I took the early train to Pisa, to see the famous leaning tower. The train was over an hour from Grosseto but it was a nice relaxing ride. Today was my first day on my own really and I had almost forgotten that I was on this journey by myself. Traveling by yourself is definitely weird at first. You decide what you do. You eat when you want. You do what you want. The first time I traveled alone I was 19 and heading to Paris to meet up with my sister. She arrived that night and I arrived that morning from Barcelona. I had the whole day to myself. I hated it. I wandered around aimlessly and pretended to love it. Freedom! I told myself. Time to reflect, as well. I remember writing in my notebook and being quite happy. Then I had to eat on my own. I’m in one of the best places for food in the world, and I had one of the worst meals of my life (outside of hotels & airports because good meals in those places are an anomaly). A lot of it had to do with my intimidation by the language. Looking back, I was just young and inexperienced. I did not like eating by myself. After years of working ,and sometimes traveling alone, I’ve learned to enjoy it and be anything but ashamed of having a meal on my own. Alright, back to the traveling. The walk from the train station to the piazza with the tower is a decent one, about 15-20 minutes. It is enjoyable too. You can take Corso Italia and stop in a few of the stores along the way. I am quite proud to say I went into Zara and didn’t buy anything. It was hard because a lot of the stores have everything on sale as they are getting rid of the winter clothes. The thought of having to carry it helped me resist. 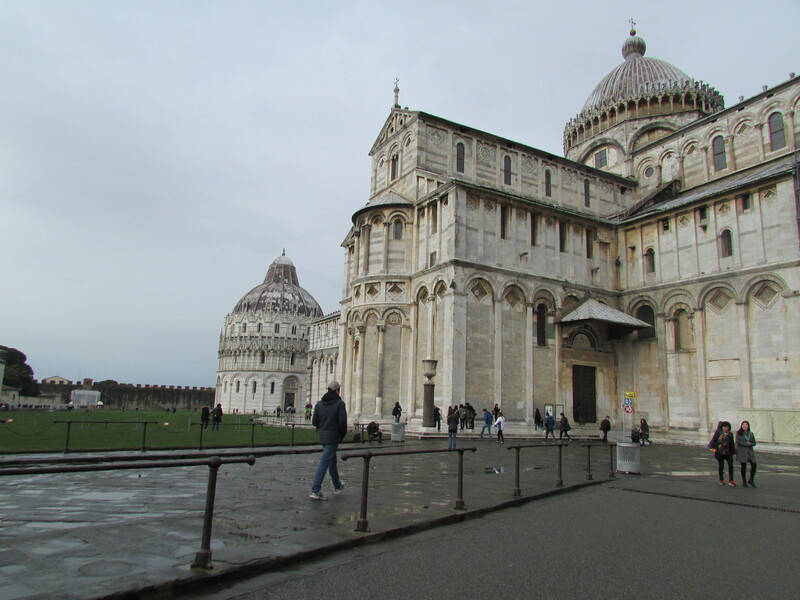 After you cross the bridge and walk past the university, you arrive at the Piazza del Duomo. The leaning tower is immediately recognizable. It is quite a sight and I definitely recommend a visit on any trip to Italy. 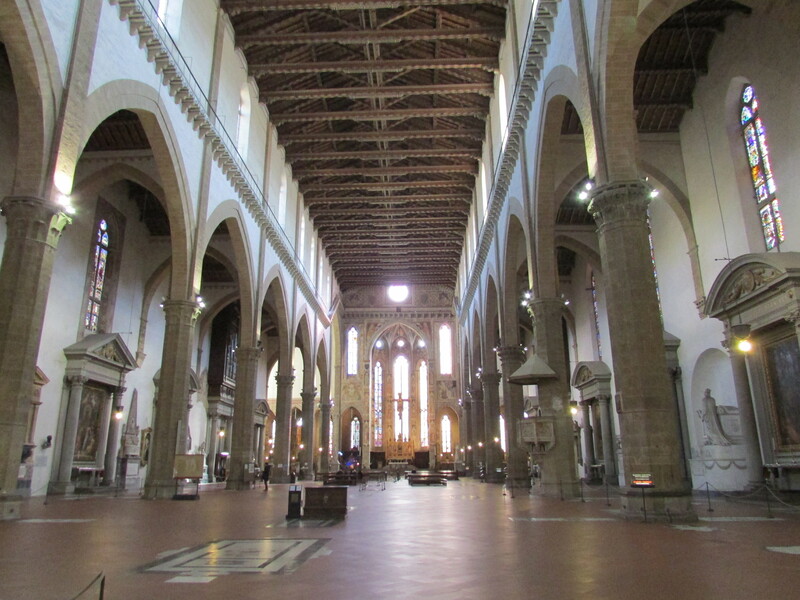 The cathedral is next to the tower and there are 2 other monuments in addition to two museums in the Piazza. I also visited the Cathedral as it is free to visit. There are a few positives to coming in the off season. Much fewer crowds, no waiting in line, the only drawback is that the weather doesn’t always cooperate. The Leaning tower of Pisa itself, as if it needed an introduction. I debated for a bit on whether or not to go up the tower. It costs 18 Euros and to be honest, a lot of historical experiences are wasted on me. In the end, I was not sure when I would be back, or if by then they would have shut down the ability to walk up it. The warped tower stairs from decades of climbing. I’m so glad I did. As soon you enter, you can feel the tilt. 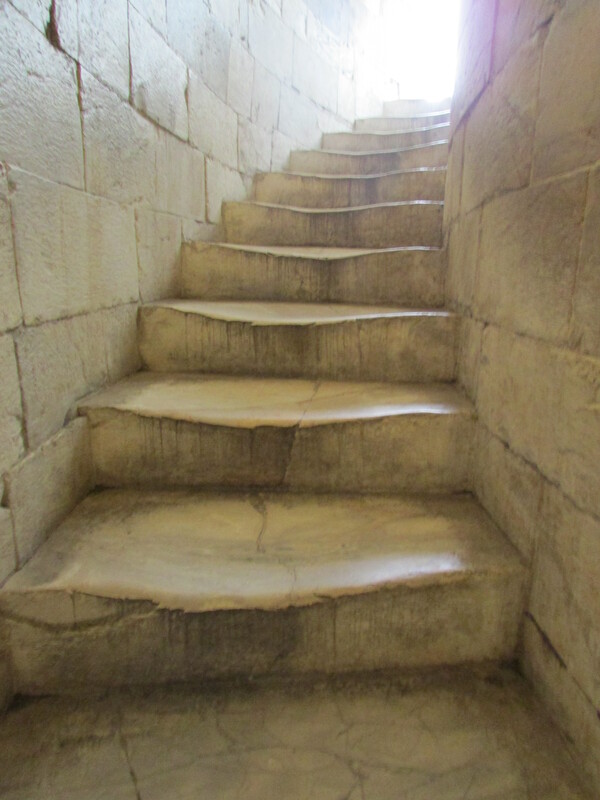 You climb up the stairs and you can see the indents from years and years of walking. I’m not one who is normally afraid of heights but I was a little nervous at the top. I thought I would roll right into the frail fencing along the outside and fall. The tilt is that noticeable so that you actually feel pulled towards one side. The view was nice from the top and the tower probably only took me about 20 minutes. The stairs leave you a bit winded but nothing too bad. 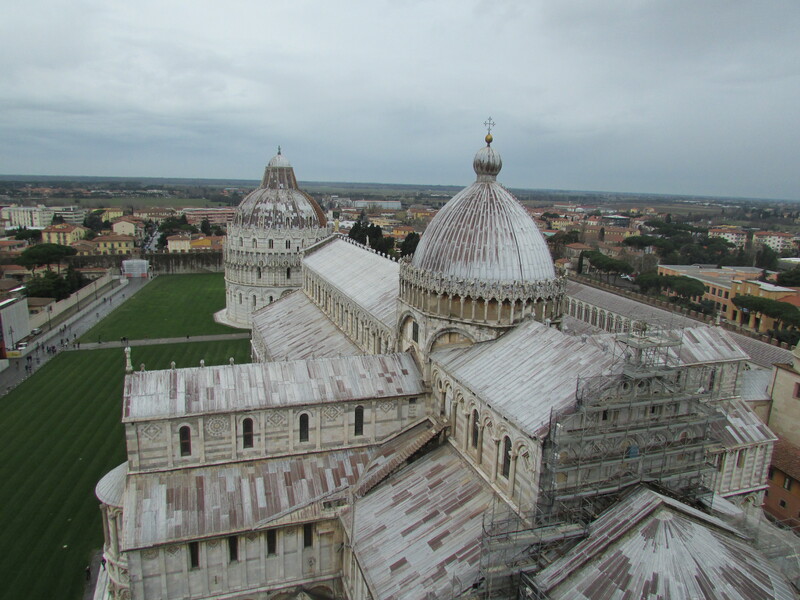 View from the top of the leaning tower. I wrapped up my day with pizza and a cup of red wine (because seriously why would you drink anything else in Tuscany?). Although not the most exciting day of my life, I would call Pisa a success and another check on my imaginary bucket list. Lovely. Beautiful. Simple. These are the words that describe my first full day in Grosseto. It was a slow day, but it was lovely. The day before had been a blur. I had been up for around 24 hours straight with maybe a few hours nap that I managed on the plane, but it didn’t seem like I slept through that much. It was followed by 3 trains. That kind of transportation kind of messes up your sleep cycle. View from my window. Is that Tuscany or what? That’s part of the reason I was so happy about the situation I arranged in Grosseto. There is nothing better than being greeted at the train station and not having to worry about where you are going. The family I am staying with was there to pick me up. After a short drive to their home, I let them know that I didn’t need anything to eat, and went to bed in my own room with my own bathroom. You have to pay for hostels and this was 10x better at least. The generosity of this family speaks for themselves. The next morning, they laid breakfast out for me as they would both be at work. I woke up extremely late (12 and ½ hours later around 11:30am local time) and quickly showered and went downstairs. I heated up the coffee and had toast with orange juice. Shortly after the husband came home and we said brief hellos, as he knows very little English and I know even less Italian. Once the mother got back, we had lunch which was a delicious pasta with ham, oil, and tomatoes that was simple, yet I am positive I could not recreate it. I had a glass of red wine which was so smooth, I knew I had to be in Tuscany. This is the Italy that made Italian life luxurious. It wasn’t the tourist spots that or the fancy leather goods. It is the luxurious home life that comes with simple, yet delicious food and quality family time. After lunch, we picked up their son from pre-school. We tried to stop by the sea, but it was so windy that unfortunately, we couldn’t walk along the beach but I can imagine how lovely it is in the summer. 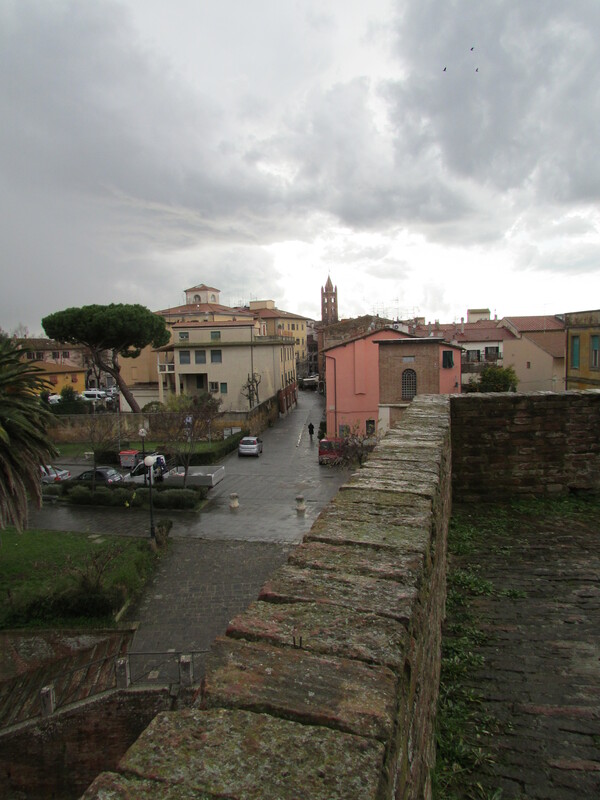 A view of Grosseto, Italy from the wall that encircles the city. As we got into the car, V’s mother called and reminded her of the Pediatrician. There wasn’t time to go back to the house so I rode with them to the doctors. Their son is absolutely adorable and quite shy when I try to speak to him in English which I’ve noticed is common of most children when they talk to someone new. After the doctors, we went home where V prepared dinner and I played with A (her son). A is a typical boy in love with motorcycles and Spiderman. Dinner was like the entire day, simple and delicious. It was a meat with cheese, side dish of carrots & red wine. Some fresh mozzarella, cured meat, and arugula for an after dinner salad, and fresh winter melon (honeydew) for dessert. What is common for them, is a 3 star meal to me. I’ve now gone over my entire day but I haven’t spoken much about my feelings. It is different being around people you aren’t familiar with. Most people I am comfortable with I have no problem speaking my mind. When I am with new people, I just care about making a good first impression and being polite. I’m also much quieter than I normally am. People have said I am shy, though I don’t think I would ever say it myself, but when I am first getting to know people, its undoubtedly a descriptive adjective for me. At the beginning of each trip, I usually ask myself what have I gotten myself into. I am anxious and I feel a bit squirmish. By the end of today, I am so happy I took this chance. Although it isn’t always easy, I know this is the person I want to be. Learning a bit of Italian so I can speak with the boy, trying new things, and understanding how the rest of the world works. They have already invited me back when the weather is better and I can’t help but feel a bit more comfortable, somewhere else on the other side of the world. That, in itself, has made this trip worth it.